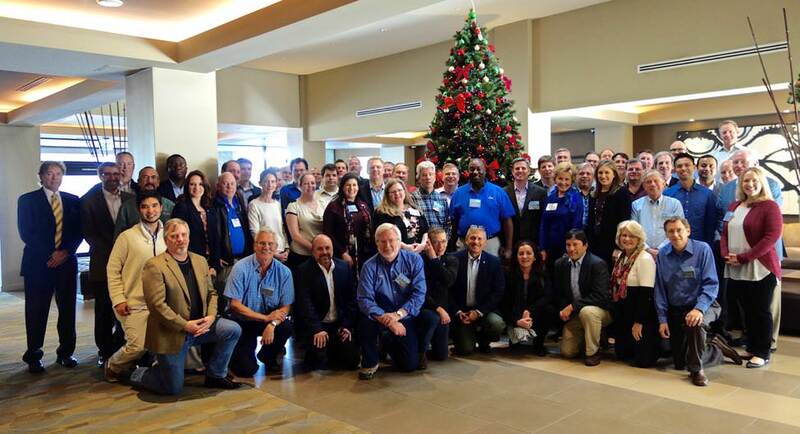 To continue to build broadly based consensus on the future of human space exploration, the Fourth Community Workshop on Achievability and Sustainability of Human Exploration of Mars (AM IV), organized by Explore Mars, Inc. and the American Astronautical Society, was held at the DoubleTree Inn in Monrovia, CA., December 6–8, 2016. Approximately 60 invited professionals from the industrial and commercial sectors, academia, and NASA, along with international colleagues, participated in the workshop. These individuals were chosen to be representative of the breadth of interests in astronaut and robotic Mars exploration. AM IV built upon the three previous Affordability and Sustainability Workshops (i.e., AM I–III) held in 2013, 2014, and 2015 respectively. Those previous workshops assessed and reported on the affordability and sustainability of multiple scenarios for human exploration of Mars. For that reason, our organizing committee concluded that the 2016 workshop would concentrate specifically on achieving critical capabilities (or “long poles”) in human exploration of Mars. Nine expert teams were assembled and each was charged with assessing the achievability of one major element common among scenarios for initial human missions to Mars. Included in each assessment, each of which was critically reviewed during the workshop and which is reported on here, are such characteristics as key elements of the long pole and the length of time required for development, venues for demonstration, precursors, and scenarios that take advantage of the long pole. 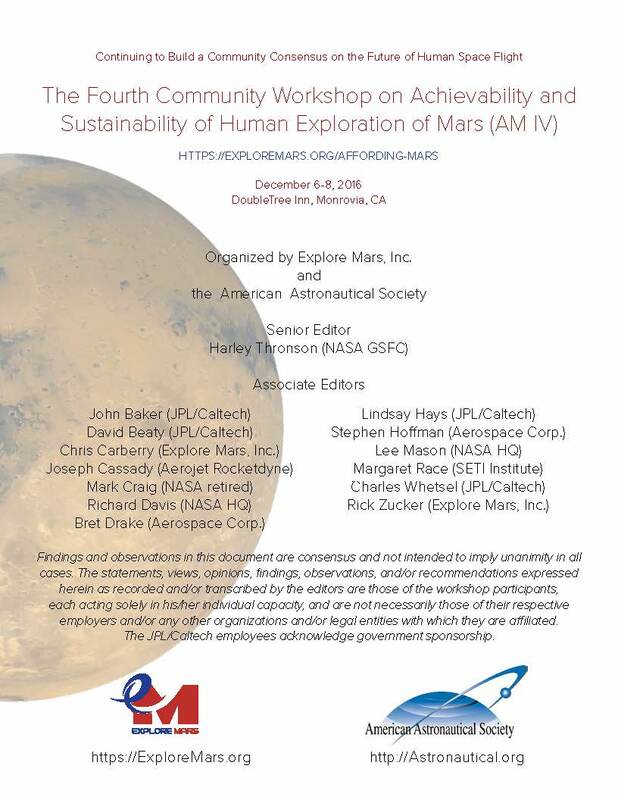 The output of the workshop consists of observations, findings, and recommendations that will be presented to space agency leadership, policymakers, and at professional conferences.